Based in the hotbed of electronic music that is Leeds, two of the city’s leading heads have come together to form Low Tone. Carlo Gambino and Al Bradley are two of the gems in Leeds’ electronic crown and the guys run their own highly-respect labels Midnight Social Recordings and 3am Recordings respectively. Carlo and Al have notched up over 200 releases between them, featuring on Hot Waves, Paper, Dilate, Click Therapy, Bulletdodge, Cubism, Svogue Muziq, Blue Orb, Hot Lipps, Sullivan Room NYC & countless others. The two originals are accompanied by hot remixes from Howard Sessions and Phasen, two of the finest remixers around at the moment. 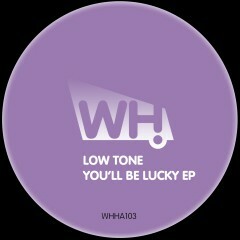 With a distinct aversion to the ‘here today, gone tomorrow’ hype, what you get from Low Tone is 100% quality house music.